It’s Not How Good You Are, It’s How Good You Want to Be (2003) offers sage advice to anyone interested in turning their grand ambitions into reality. 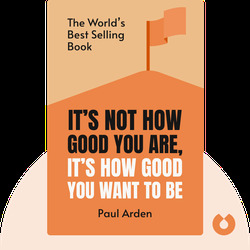 Paul Arden takes readers behind the scenes of the advertising world to reveal the best and most effective techniques for pitching ideas and getting the client to say yes. Throughout, Arden encourages creative minds to think big and break away from the mundane and mediocre. 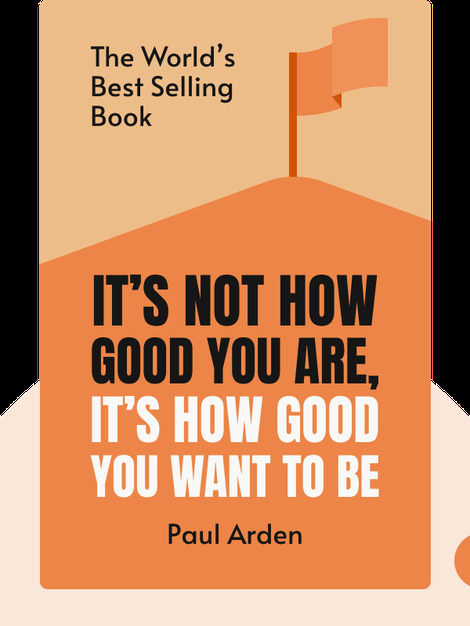 Paul Arden is a creative mastermind with over 30 years’ experience in the advertising industry. He’s worked with major companies such as Toyota, British Airways and Fuji to create some of the most successful advertising campaigns in Britain. He is also the author of Whatever You Think, Think The Opposite (2006) and God Explained in a Taxi Ride (2007).